Bus transportation from Downtown Los Angeles is available. Former state assemblymember and long-time community activist Warren Furutani will be a featured speaker at the 48th annual Manzanar Pilgrimage, sponsored by the Manzanar Committee, on Saturday, April 29, at the Manzanar National Historic Site, located on U.S. Highway 395 in California’s Owens Valley, between the towns of Lone Pine and Independence, approximately 230 miles north of Los Angeles. 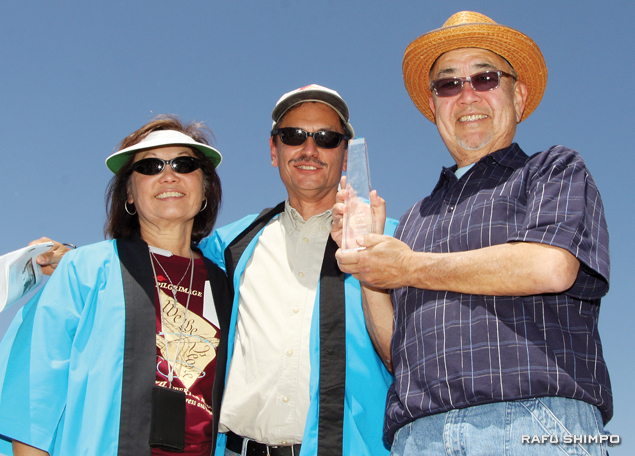 Each year, over 1,000 people from diverse backgrounds, including students, teachers, community members, clergy and former incarcerees, attend the pilgrimage, which commemorates the unjust incarceration of over 110,000 Americans of Japanese ancestry in ten American concentration camps, and other confinement sites, located in the most desolate, isolated regions of the U.S. during World War II. Manzanar was the first of the American concentration camps to be established. Cultural performances will begin at 11:30 a.m., with the main portion of the program starting at noon. Furutani, 69, was already a grassroots community activist and civil rights advocate when he became one of about 150 people who made the first organized Pilgrimage to Manzanar on Dec. 27, 1969. Since then, he has dedicated his life to equal opportunity and social justice, focusing his efforts in the areas of education and public service. In 2007, Furutani was elected to the State Assembly, representing the 55th District. He served as chair of the Assembly Public Employees Retirement System and Social Security Committee, and as chair of the Select Committee on Career Technical Education and Workforce Development. Furutani, who was born in San Pedro and raised in nearby Gardena, authored Assembly Bill 37, which granted honorary college degrees to Japanese Americans whose education was disrupted due to their incarceration during World War II. Thousands of Nisei have received honorary degrees from college campuses throughout California as a result. In addition to the afternoon event, the Manzanar At Dusk program follows that same evening, from 5 to 8 p.m., at Lone Pine High School, located at 538 S. Main St. in Lone Pine, nine miles south of the Manzanar National Historic Site, across the street from McDonald’s. Manzanar At Dusk is co-sponsored by the Nikkei Student Unions at CSU Long Beach, California State Polytechnic University Pomona, UCLA, and UC San Diego. The Manzanar Committee has also announced that bus transportation to the Pilgrimage from Little Tokyo is available. The bus will depart at 7 a.m., arriving at the pilgrimage at approximately 11:30 a.m., and will also take participants to the Visitor’s Center at the Manzanar National Historic Site following the afternoon program. The bus should arrive back in Los Angeles at approximately 8:30 p.m.
Reservations will be accepted on a first-come, first-served basis. The non-refundable fare is $40 per seat, $20 for students and seniors (65 or older). Complimentary fares are available for those who were incarcerated at any of the former American concentration camps or other wartime confinement sites. Pilgrimage participants are advised to bring their own lunch, drinks and snacks, as there are no facilities to purchase food at the Manzanar National Historic Site (restaurants and fast food outlets are located in Lone Pine and Independence). Water will be provided at the site.